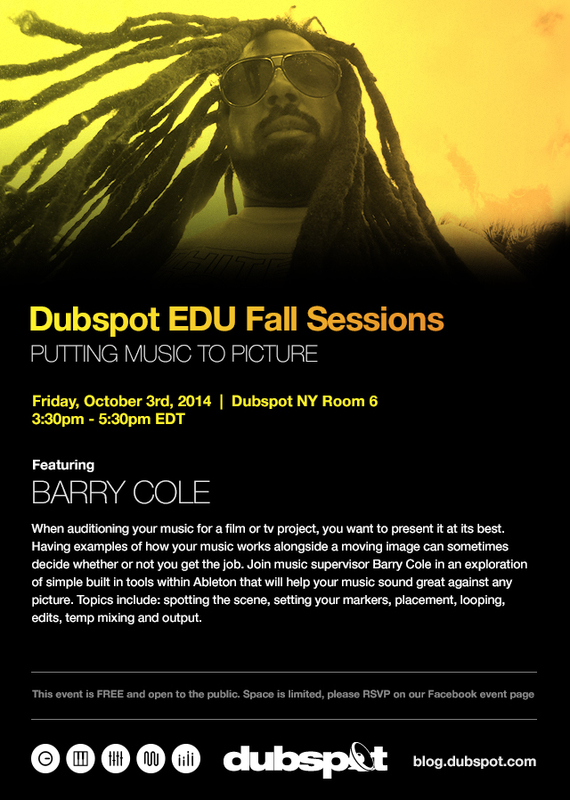 On Friday, October 3rd, we continue our series of FREE workshops at our NYC campus with a presentation on putting music to picture with Dubspot instructor Barry Cole. Barry Cole is a seasoned music supervisor who has an impressive list of credits, including work on the films American Psycho, Sling Blade, Super Troopers, and Marley. Check out his IMDb page for a full list. Barry will present tools within Ableton that will help your music sound great against any picture. Topics include: spotting the scene, setting your markers, placement, looping, edits, temp mixing and output. This event is not to be missed!